Custom Built Bali Hut . 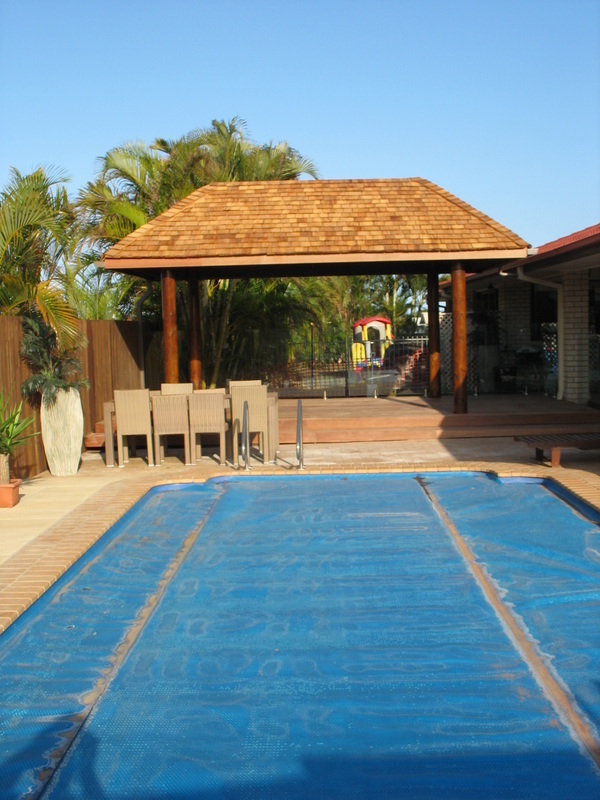 7.3 m long x 3.8m wide with a pacific Jarrah deck with 140mm wide boards. it has a western red cedar shingle roof supported on certified structural 200mm diameter pine posts.